As part of their doctoral studies, a group of bright young women at Lincoln University have helped to find answers to one of the major environmental challenges facing farming by contributing to research into reducing nitrate leaching on farms. Forages for Reduced Nitrate Leaching (FRNL) is a six-year, $28m primary sector initiative aiming to reduce farming’s environmental footprint by improving the nitrogen efficiency of the animals and plants used on New Zealand farms. Dairy, arable (crop) and sheep and beef farms are involved in the programme which is focusing on three areas, alternative pasture species, crops, and farm systems. The PhD students, Kirsty Martin, Anna Carlton, Roshean Woods, Lisa Box, Elena Minnee, and Grace Cun, joined a team of scientists from AgResearch, DairyNZ, Foundation for Arable Research, Landcare Research, Lincoln University, and Plant and Food Research investigating which forages will best reduce nitrate losses. The multi-partner approach is the first of its kind on this scale in New Zealand where several organisations are working together seeking answers to improve environmental and economic sustainability. DairyNZ senior scientist Ina Pinxterhuis, who leads the FRNL project, says that the doctoral students have provided valuable information about what is happening at urine patch level. Lincoln University’s professor of soil science, Dr Keith Cameron, says the application of science is important to the university, along with its relevance to the agricultural industry. “The multi-disciplined, multi-partner approach to find answers in projects like Forages for Reduced Nitrate Leaching is the way of the future. When the students leave here they will not only have new skills, but will also have contributed to the research. 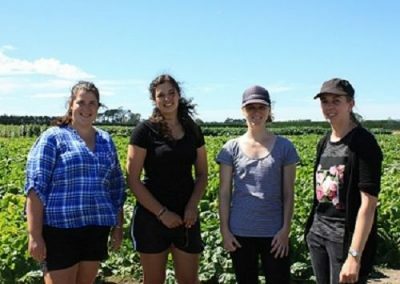 Many of the students we train at PhD level go on to make major contributions to New Zealand agriculture,” says Professor Cameron. FRNL is principally funded by the Ministry of Business, Innovation and Employment, with additional funding from programme partners DairyNZ, AgResearch, Plant & Food Research, Lincoln University, Foundation for Arable Research and Landcare Research. The programme finishes in 2019. Based at the Lincoln University research dairy farm, Kirsty Martin is researching the response to nitrogen of 12 different pasture forages. Her interest in farming began in rural England where she was brought up. Her family moved to New Zealand when she was 14 and a stint on a dairy farm in the school holidays made her decide that an agricultural science degree was a good career option. 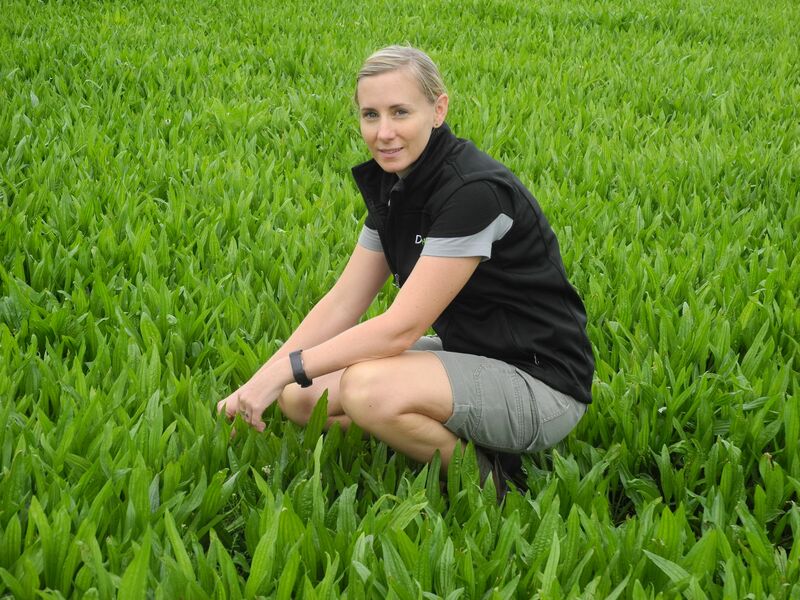 She has been monitoring plant responses to different levels of nitrogen applied as fertiliser to identify whether some are more efficient at utilising nitrogen than others. More nitrogen efficient pastures may lead to lower nitrogen inputs into the farm system and less risk of nitrate leaching. “I enjoy all aspects of my PhD study, particularly because of the variety in everything I do. I can be out in the paddock in the morning shifting the irrigator or taking samples, and in the afternoon in the lab, weighing or grinding them and then on the computer writing up the information,” says Kirsty. Kirsty, now in the last stages of her PhD, said she is glad all her hard work is being used to make an impact on farmers to reduce their environmental footprint and wouldn’t have taken the three-year journey if it wasn’t useful to the industry. Once finished she will go on to work for a farm consulting company as an environmental consultant based out of Darfield. Grace Cun was born in California. At high school she became actively involved in the Future Farmers of America organisation and developed a passion for agriculture. She studied animal science and management at the University of California Davis which deepened her interest in research, dairy cows and forages. This was followed by a Master’s degree in plant science at the California State University Fresno before she came to New Zealand in 2015 to pursue her PhD studies at Lincoln University in Canterbury where she now lives. “New Zealand has always been renowned for its low cost pasture-based dairy farming systems. I knew heading overseas and studying at Lincoln University would allow me to bridge the gap between abstract principles and real world challenges,” says Grace. “Research, especially with the FRNL group, has such a practical aspect to it. It involves collaboration across disciplines (animals, plants, soil), and you meet such interesting people. I also love that the academia world of Lincoln University works across sectors with DairyNZ, Ministry of Business Innovation and Employment and others. Anna Carlton didn’t know what she wanted to do at school but loved animals and the outdoors. A visit to a Lincoln University open day from her Tauranga home helped her to decide that was where she wanted to be. A Bachelor of Science degree gave her a taste of everything, animals, plants, soils, and biology. Anna particularly enjoyed the environmental science papers and this is something she has pursued in her post graduate studies. Her PhD is studying irrigation management and how it affects nitrate loss. Anna is looking at the bigger picture combining animal, plant and soil science. The aim of the research is to increase knowledge and understanding of the effects diverse pasture species and optimum irrigation have on nitrate leaching from grazed pasture. On the Lincoln University research dairy farm, Anna has used 40 instruments called lysimeters to measure yield, plant nitrogen uptake, N leaching loss, 15N recovery, root distribution and the effect of irrigation type on nitrate leaching, especially over the summer months if not enough water is applied. 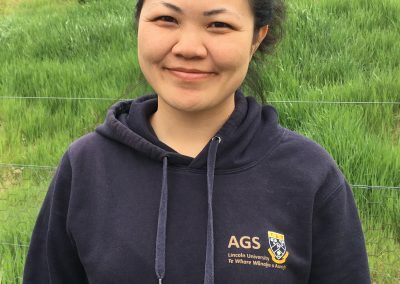 In a second lysimeter experiment, Anna investigated the effect of diverse perennial ryegrass and white clover pastures containing plantain and irrigation type on nitrogen leaching losses from cow urine patches. She hopes this research will enable New Zealand dairy farmers to continue farming in a profitable and environmentally sound way, particularly under the new limit setting regulations being implemented by regional councils. “It’s a balancing act between the environment and farming profitability. What I enjoyed most about the FRNL project, was the range of disciplines the project covered; the variety made it interesting,” says Anna who has now completed her PhD and is working as a consultant helping to show farmers the practical applications of the FRNL research project. Enjoying science at school and a school visit by DairyNZ to talk about careers in the industry made Roshean Woods of Timaru realise that the challenge of applying science to help farmers reduce their environmental footprint had excellent potential as a future job option. 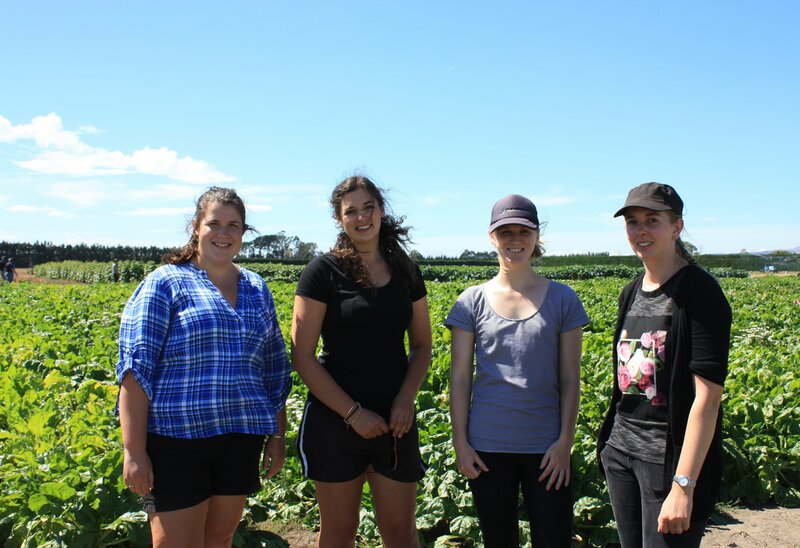 Lisa Box and Elena Minnee are both from Waikato farming backgrounds. Lisa grew up on a dairy farm in the Waikato and loved everything about it. She planned to be a vet but a visit to the Lincoln University stand at Fieldays saw her enrolling for an agricultural science degree. 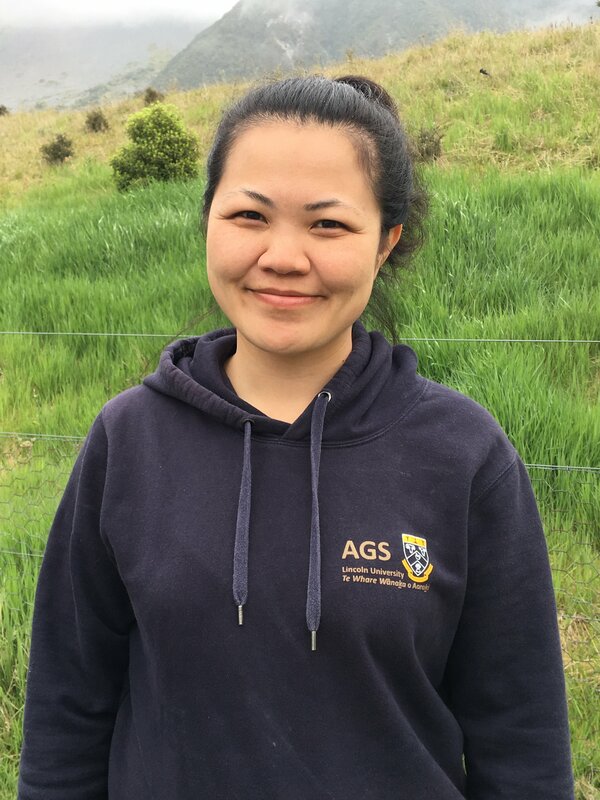 “I never thought I would want to do postgraduate studies, but I soon became passionate about science, particularly plant science,” says Lisa. Lisa says she likes the variety each day brings. Elena Minnee’s parents and grandparents were dairy farmers. Despite this background, Elena wasn’t very involved in farm life except for feeding the calves, so her parents were surprised when she ended up in dairy research. She was influenced in her scientific career by her biology and chemistry teachers at Thames High School who made subjects fascinating and engaging. Then at Waikato University she enjoyed the discovery part of science and how finding out about one thing often led to other lines of enquiry. For her PhD, Elena is studying grazed forages. She explains that there is already some research that suggests that protein in various feeds differs in its nitrogen use efficiency which in turn influences the rate of nitrate leaching.